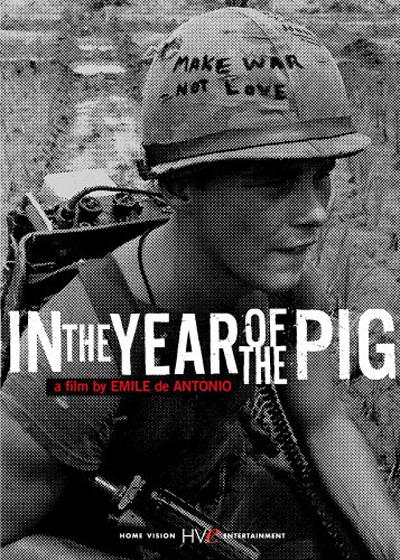 The original image of the soldier was also used for Emile de Antonio’s 1968 documentary “In the Year of the Pig” about American involvement in the Vietnam War. 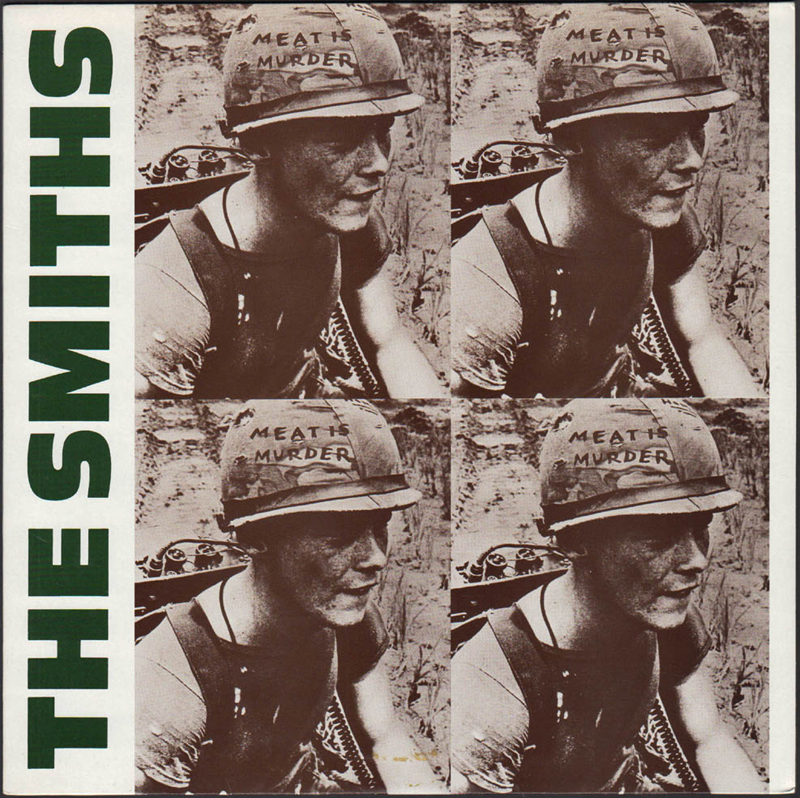 If you are paying attention you can see that The Smiths made a slight adjustment to the original photo. The original photo of Cpl. Wynn’s helmet actually says MAKE WAR NOT LOVE!!! 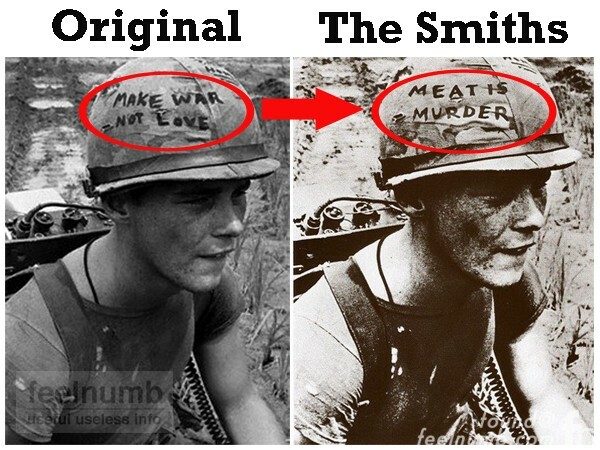 I’m sure the change was made by Morrissey and Johnny Marr who have been avid vegans for decades. 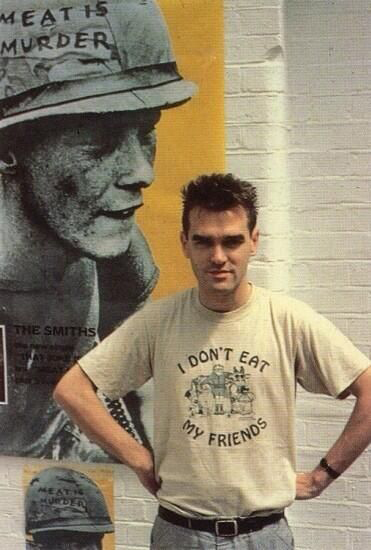 Here’s a great photo of Morrissey with his infamous “I Don’t Eat My Friends” t-shirt standing in front of a Meat is Murder poster. The brits seemed a bit obsessed with the United States Military. 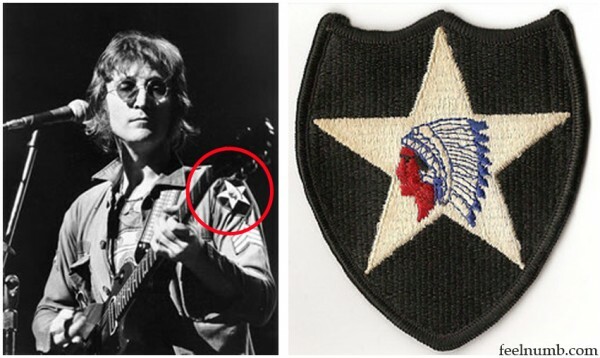 Click link or photo below to read all the details of John Lennon’s Army jacket given to him by a US Soldier.